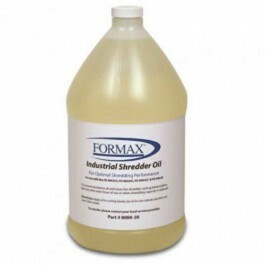 The Formax FD 8602 Series Office Shredder saves time and money. 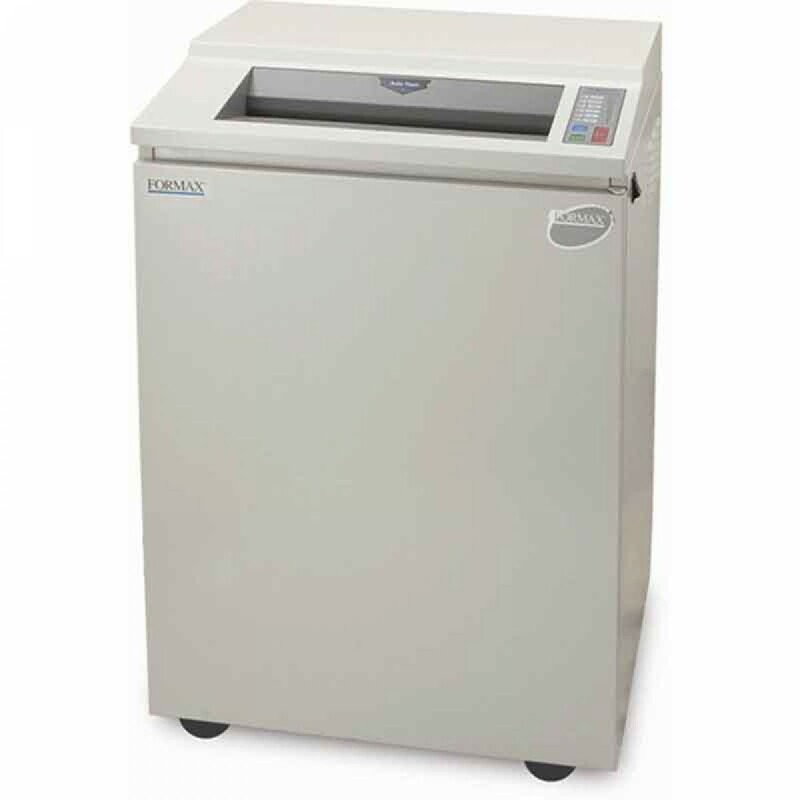 Formax FD 8600 Series Office Shredders feature an extra wide 16" feed opening and an easy-to-use LED control panel. These shredders also have the new ECO mode saves energy by automatically switching into standby mode after 5 mins of idling. 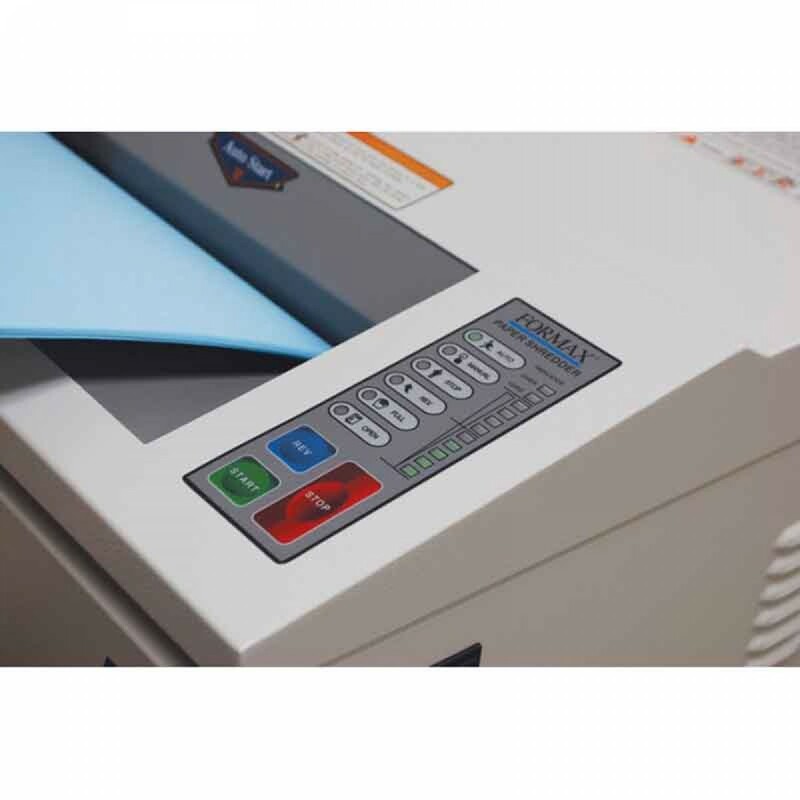 Theoptional EvenFlow Automatic Oiling System helps to keep the FD 8600 shredders in at peak performance.